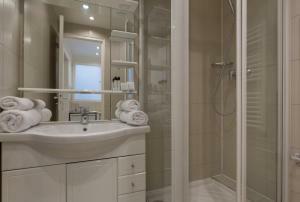 Hotel De L'Horloge offers accommodation in Paris. Place de la République is 1.5 km away. Free WiFi is available throughout the property. 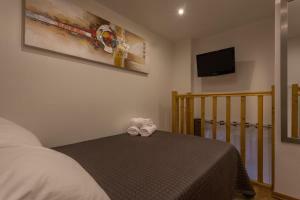 The accommodation is fitted with a flat-screen TV with satellite channels. Some units include a dining area and/or courtyard. 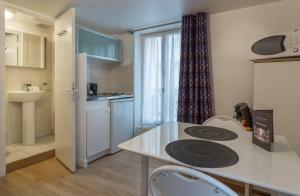 There is also a kitchenette, fitted with a microwave, refrigerator and stovetop. 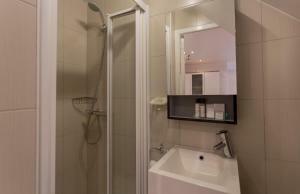 Towels and bed linen are offered. 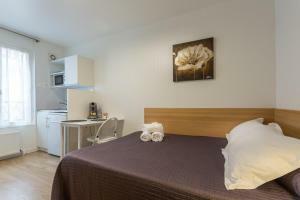 Opéra Bastille is 1.8 km from Hotel De L'Horloge, while Pompidou Centre is 2.3 km from the property. 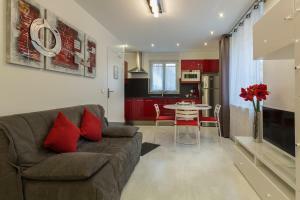 The nearest airport is Paris - Orly Airport, 15 km from the property. 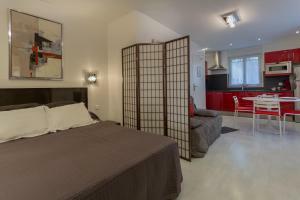 This single room has a courtyard, kitchenware and stovetop. Rate: € 86.40 ... € 239.00; select dates below to get current rates. This studio has a stovetop, courtyard and microwave. 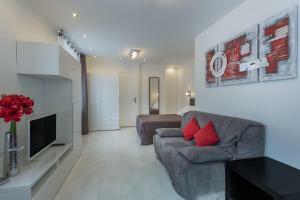 Rate: € 96.10 ... € 186.26; select dates below to get current rates. This studio has a stovetop, dining area and kitchenware. This studio has a electric kettle, kitchenware and courtyard. 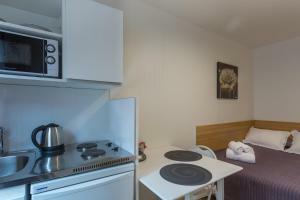 This double room features a kitchenware, dining area and stovetop. This studio has a patio, tile/marble floor and stovetop. This studio features a kitchen, dining area and courtyard. Please note that the extra bed is a folding bed. 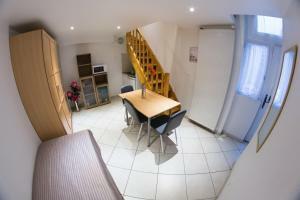 This quadruple room has a flat-screen TV, dining area and seating area. 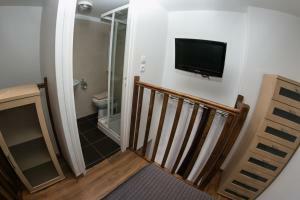 This studio features a kitchen, a bathroom with free toiletries and a flat-screen TV. Please not that an extra bed is available upon request, at an extra cost.